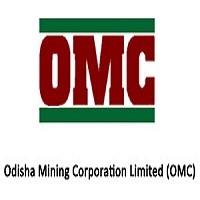 OMC Jobs Recruitment Notification 2018.Odisha Mining Corporation, OMC inviting applications for the positions of Manager & Managing Directors.Interested and Eligible candidates can apply for the positions. M.Sc degree/ graduation degree holders from any recognized university can apply for this job notification. Applicants age for managing director post can be in between 45 to 55 years. Applicants age for Dy. Manager post must have age in between 21 to 32 years. For remaining posts applicants can have age up to 36 years. Mode of applying for OMC recruitment is through offline mode until 20th September 2018.
https://omcltd.in/ is the link for applicants to download and send to below-given address. General Manager (P&A), The Odisha Mining Corporation Ltd. Post Box No.34, OMC House, Bhubaneswar-751001.